We did our fall decorating before September even arrived. (I love fall!) The kids were very excited and were ready to do some art to help decorate. 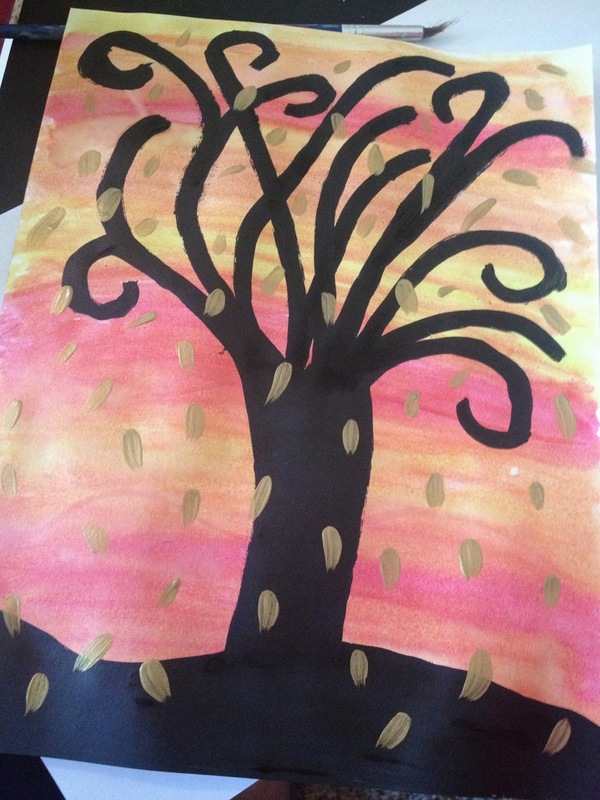 Our first project was to paint a fall scene with a silhouette of a tree. 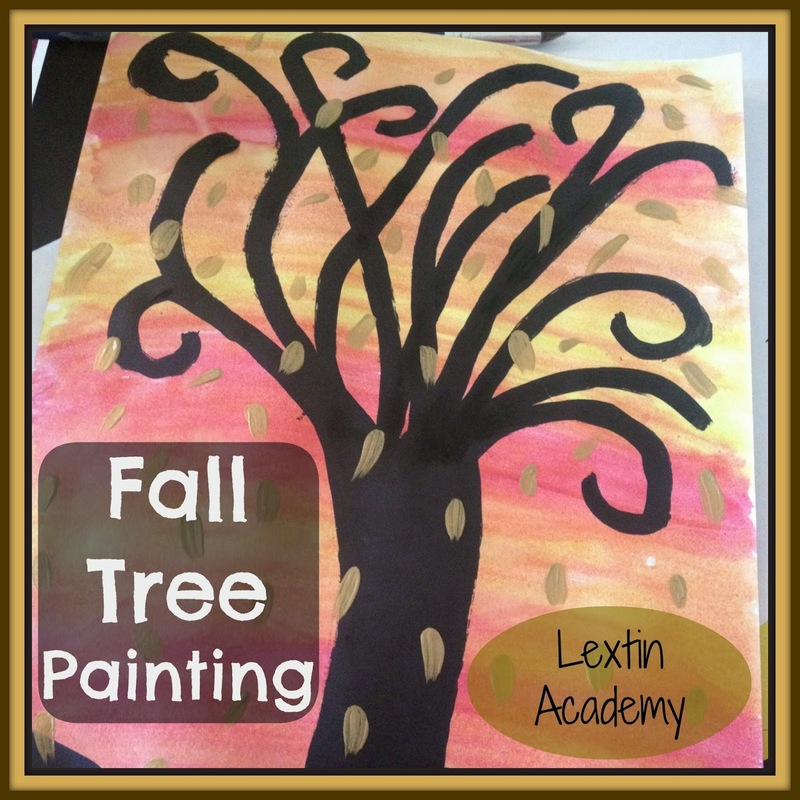 First we painted the fall background with watercolor. I encouraged my kids to use reds, yellows, oranges, and browns and to blend them together to make fall colors. 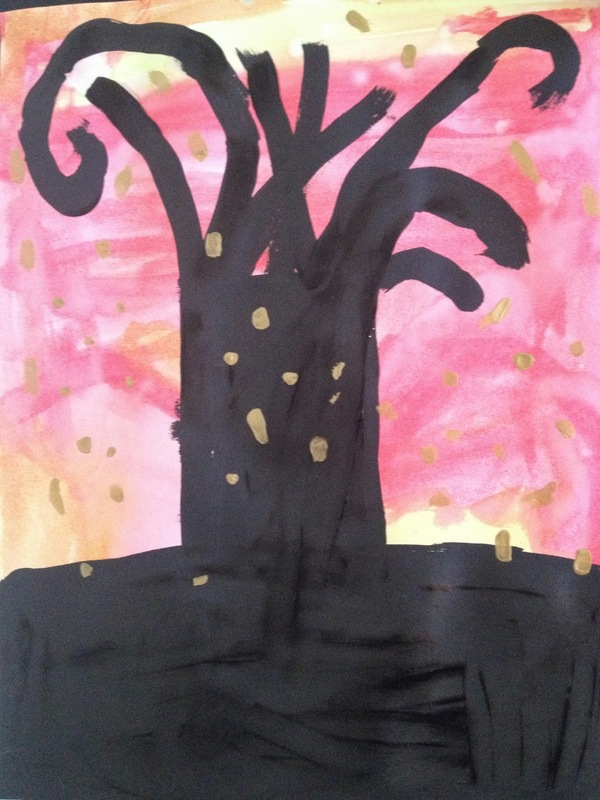 Once the picture was completely dry, we used black acrylic paint to paint our tree and ground. The little ones got a little overly enthusiastic with the black paint and their trees took up nearly the entire page. When the black paint was dry, I gave them small brushes and let them paint small gold leaves in their scene. Now they’re part of our fall decorations!